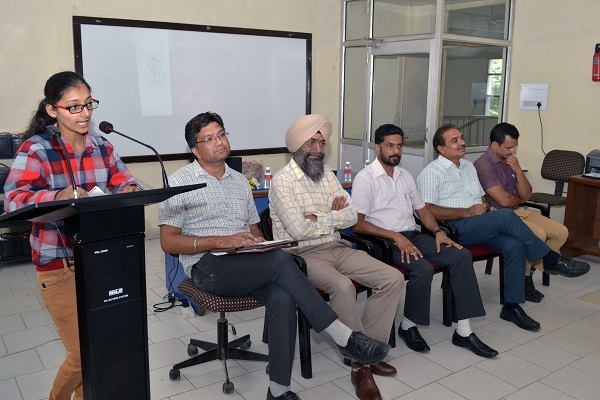 Department of Hindi, M M Modi College, Patiala celebrated ‘Hindi Diwas’ Fortnight here today. 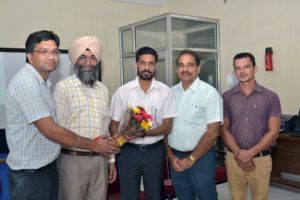 Principal Dr. Khushvinder Kumar inaugurated it and congratulated the staff and the students for organising this function. He appreciated the sincere efforts of Dr. Rupinder Sharma, Head, Department of Hindi in the successful conclusion of the function. He said that Hindi being our national language acts as a link-language for the country as a whole. He said that we should make collective efforts to popularise Hindi in every corner of the country. Debate, declamation and poetry recitation contests were also organised on the occasion. Students talked about the challenges which Hindi is encountering due to the impact of globalisation. Prof. Ved Parkash and Dr. Harman Singh were present here. Dr. Gurdeep Singh presented vote of thanks. Dr. Rupinder Sharma conducted the stage.